Hi Evan, thanks a million stars to you for taking the time to do this interview! Could you start it off by telling us a little bit about yourself in the trivial sense, maybe tell us why and when you started the Bluetech project, is there a story or some meaning behind your project name? Evan: My name is Evan Bartholomew, and I am a composer/sound designer primarily working in electronic music, downtempo, ambient, idm, and also some tech house and thinking man's dance music forms. 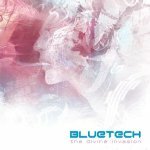 I started the Bluetech project in the early 2000s as a trance project, and quickly switched to making downtempo music or at least music which wasn't so rigidly defined in terms of aesthetics. I'm not really sure why I chose the name Bluetech, it just kind of made sense at the time and stuck. Considering you were schooled in a classical instrument (piano) from a young age, I take it you’ve drawn on musical influences in your close family? What’s your musical background before crashing your head inside the world of psychedelic electronic music and how do you feel this background history shows in your creations? Evan: I was _really_ into classical music as a young child, especially piano and composers like Debusy, Chopin, Mozart, and Beethoven. I started playing piano at around age 5 and really wanted to be Mozart when I grew up. I think the classical background has informed my sense of melody and composition and I never really get away from it. I’m more inspired by minimalist composers these days like Phillip Glass, Reich, etc. and what some may consider to be monotonous elements in my music are really attempts to establishing vibrating harmonic forms that slowly shift or interlock into other forms. If we travel back in time, do you remember how you first broke through the conscious realm and started an interest for psychedelic music and its surrounding cultures? Evan: I don't think I was ever interested in music from a "psychedelic" perspective. I've only been interested in music which moves me and activates me in a particular way. Over the years those sounds have changed, and I am always inspired by new things and new music. In your track Rubicon from the album Prima Materia you successfully made a sonic illusion where the baseline moves the music and feel backwards while the sounds pushes the music forward (like looking at a hubcap that goes in the opposite direction of the car wheel, an optical illusion). Was this an intentional move by you, or a pure cosmic coincidence? Do you often deliberately try to make hallucinogenic illusions like these? Evan: I don't think sonic illusions are ever attempted, or at least I don't set out to intentionally create them. As much as possible I try to get my logical mind out of the way when creating music, and let the music create itself. Whatever comes through defines that sound and that track. Your new album The Divine Invasion is absolutely beautiful, no question about it. It is truthful to the Bluetech sound and feel, and it manages to combine your older vibe with your new sound as if you have combined the warmth of the debut with the crystal triangle ice of the sequel to form this new album. 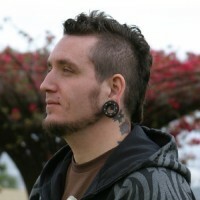 I know that you have a very personal relationship with the sound of Bluetech and I can feel a lot of emotions from your previous releases that are still present on your new album. How did you go about producing it, did you have anything special in mind or was it as usual a personal expression of your soul? Evan: I just wrote what I was feeling at the time. As you can see from the track titles, these pieces were definitely defined by dream experience, or books that I was interested in at the time. Music is a way to make a sonic imprint of a soul experience, or spirit transmission that comes through the dreamtime. I feel like a scribe, just making a snapshot of something that doesn’t exist in space or time. In The Divine Invasion you have remixed the Ace Ventura & Lish track The Light, why this specific track? It looks like you’re a fan of collaborations in general, working together with another creative head. Why is that and are there any artists out there you would jump up of delight if you were asked to do something together.¬ Any dream collaborations in your mind? Evan: They asked me to remix this track, and I think the result turned out nicely so we included it on the album. I really like a UK producer named Jon Hopkins, and would jump at the opportunity to work with him. Is there anything special to tell us about your new 2009 release The Divine Invasion without ruining the mystique? Evan: I'd rather not ruin the mystique! 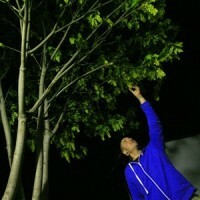 Could you say some words about your special way of releasing eco friendly and personalized albums on somniasound.com? I hear the covers inlays are made by hand. Is there anything else worth noticing and what’s the intension behind this eco-project? 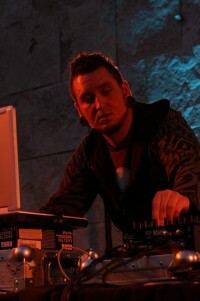 Evan: The Somnia label was created to a be a collector's label, something special for ambient and electronic music fans. We're not trying to sell thousands of CD's, we're just trying to make something special, pieces of art that are ecologically responsible and beautiful and worth keeping. How do you approach the everlasting debate about making music that can be defined under the large psychedelic trance umbrella concerning precisions in layers, sound and mood? Do you have some sort of aim for your music to reach a place, a state or dimension while creating your art? Evan: I don't consider myself a psychedelic artist in any way. Some people choose to define my music that way, and I guess it could be viewed through that filter, but someone coming from a different genre preference would define it in terms of what is aesthetically understood to them. Inside the cover sleeve rockers always used to give thanks to their inspirational bands. What used to be your personal inspiration in sounds to become what you are today in your musical vision, and who or what today in life is giving you the inspiration needed to keep it going? Evan: I'm really inspired by living in Hawaii, and working with plants. I love plants and the energy that they emanate. Working in the yard and cultivating tropical and exotic species really feeds my soul. I draw a lot of inspiration from dreams, both lucid and otherwise, and find that there is an infinite source of wisdom there that guides my life and my creative process. Which music has been on high rotation in your music-player recently? Evan: I listen to all kinds of music, but Nik Bartsch's Ronin album Holon has gotten a strong play recently, Jon Hopkins, Nils Petter Molvaer, Little Dragon, Other Lives, School of Seven Bells, Welder/Eskmo. The new Grace Jones album Hurricane is amazingly good. When it comes to DJing music in front of a crowd, do you have any preferences? Do you do anything, like use effect pads, rearrange sounds, melodies or using external inputs? Evan: I don't tend to DJ very often, but my live sets use Ableton live with a host of plug ins, and controlled by an external controller. What’s your favorite piece of hardware/software at this moment? Evan: I recently bought a TC Powercore with Sonnox plugs, and am really enjoying the EQ/Compressor on that unit. Camel Audio Alchemy is a very nice additive/granular synth/sampler that I’m enjoying using quite a bit. Want to recollect your memory about one of your best party experiences? Or what about one of the funniest/shocking/worst episodes in a party? Evan: My worst party experience was playing at a casino in Tahoe. You could hear the "ching ching" of slot machines, and I was playing the bar. People kept coming up to me asking me to play hip hop or something "good" for them to dance to. Admittedly, not my best show ever. Couldn't wait for it to end. Let me probe a final question. What have you been doing today before taking the time to answer these questions and are there any last words you’d like to spit out to the readers out there? Evan: I’m currently on Salt Spring Island. Have been on tour with Welder and Shen, and we have a couple of days break, so we're staying with Andrew Ross Collins (owner of Interchill Records) and his family, eating incredible food, staying in the hot tub, and getting some relaxation in before heading out for more shows.